"What ifs" are always perilous. But sometimes powerful lessons can be learned from the past. A close examination of perhaps the most cataclysmic period in Dartmouth Medical School's history suggests that sometimes upheaval will temper rather than topple an institution. By Laura Stephenson Carter and Fitzhugh Mullan, M.D. Primary care has often been overshadowed by the glamour of specialty care, especially at academic medical centers. Here are some waypoints in the history of primary-care medicine-both nationally and at Dartmouth-Hitchcock Medical Center-plus profiles of two primary-care physicians with Dartmouth ties, excerpted from a recent book on primary care's role in American medicine. 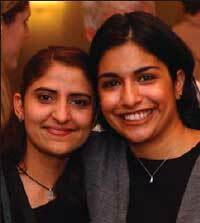 A graduate of Dartmouth Medical School writes about a particularly memorable patient. And in the process, she proves yet again the truth of Dr. Francis Weld Peabody's oft-quoted observation-that "the secret of the care of the patient is in caring for the patient." News about a "courageous project", transforming medicine, coming home to match, and much more. Striking variations revealed in end-of-life care at "best hospitals"
National commentators tackle the topic of "transforming medicine"
"This is my Deer Isle"
By Thomas C. Garland, M.D., M.P.H. By David W. Roberts, M.D. "Honoring the past, shaping the future"
"William Nugent, M.D. 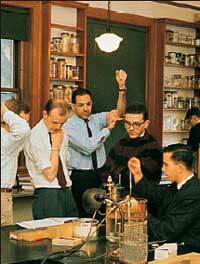 : A Tall Order"
"John Kattwinkel, M.D., '66: The reluctant doctor"
It is lost to history what these earnest microscopists in the DMS Class of '62 were looking at-but not what course their alma mater charted before or since. 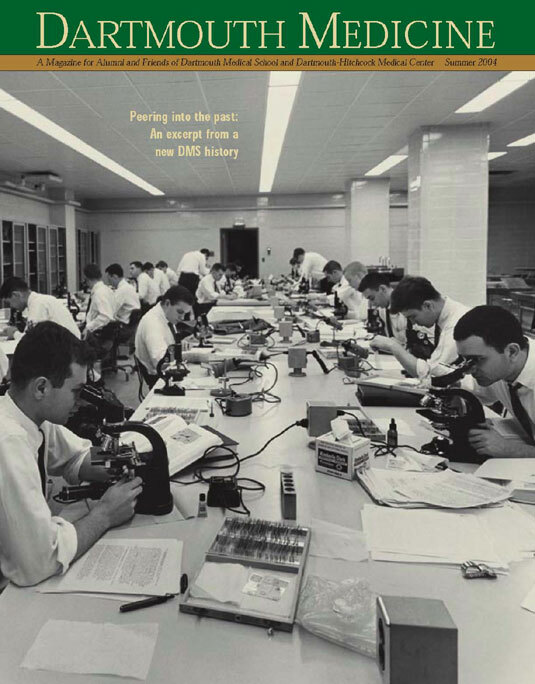 In a newly published book, medical historian Constance Putnam recounts how the nation's fourth-oldest medical school has evolved over the centuries. Dartmouth Medicine is published four times a yearthe Fall issue in late September, Winter in late December, Spring in late March, and Summer in late June. We are happy to send Dartmouth Medicineon a complimentary basis to anyone who is interested in the subjects that are covered in the magazine. Write us if you'd like to be added to our rolls. Please note, however, that the complimentary subscription offer can be extended only to addresses within North America. Because our mailing list comes from seven separate databases, some readers may receive duplicate copies. Please share extra copies with someone else, or send us the address panels from all copies you receive, and we'll be glad to eliminate the duplication. The contents of this magazine may not be reproduced without permission, but we are usually ableand happyto extend such permission.